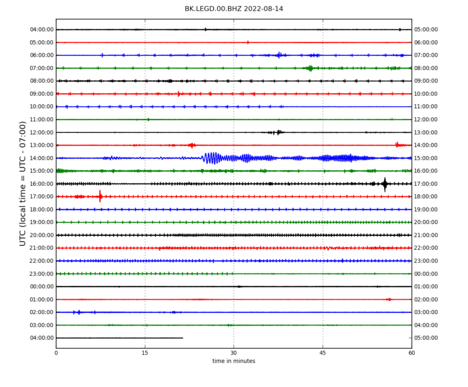 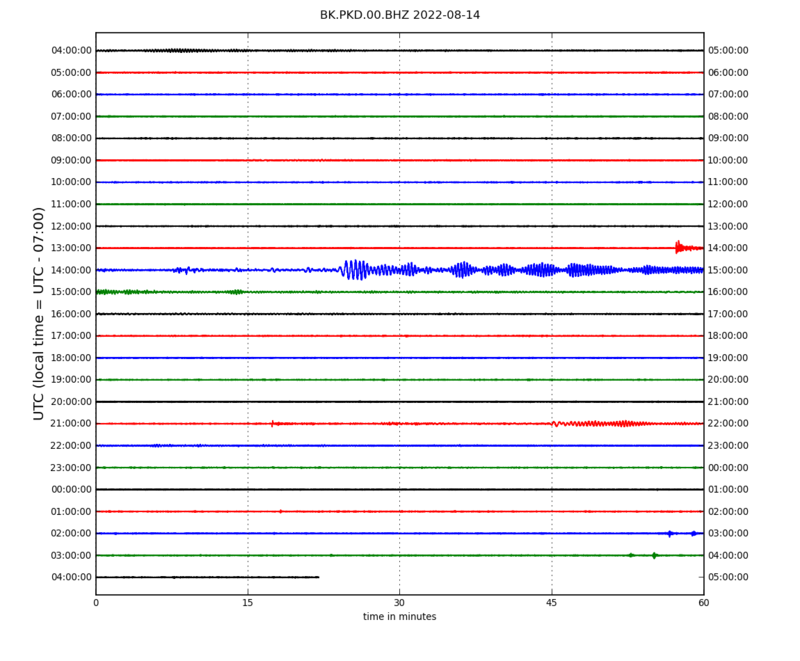 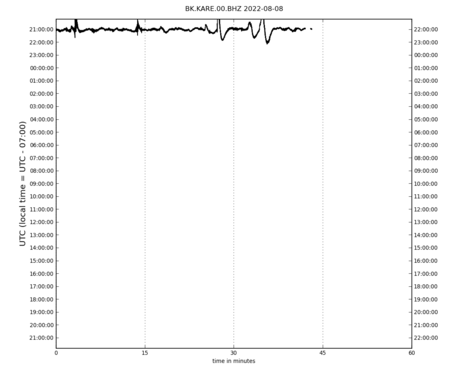 For comparison, you may be interested in viewing sample seismograms showing local, regional, and distant earthquakes. 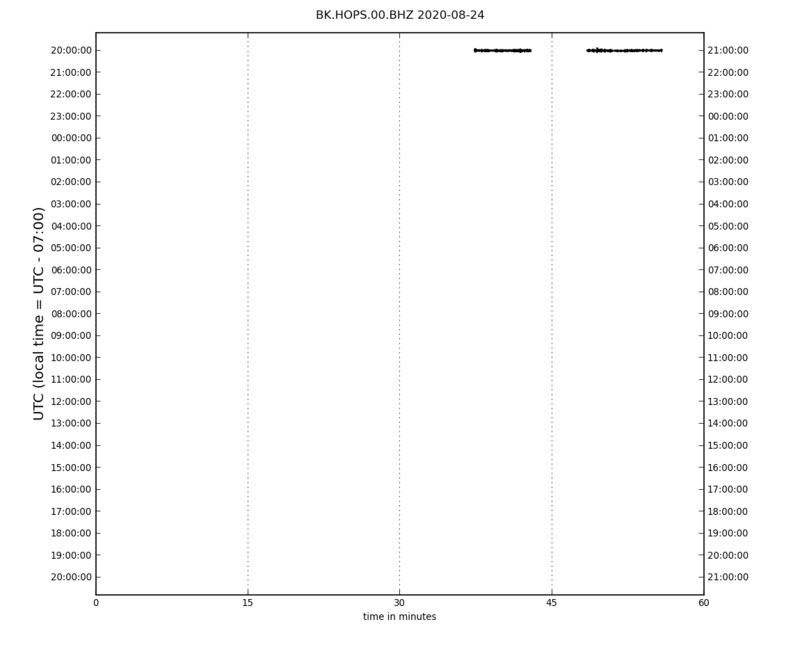 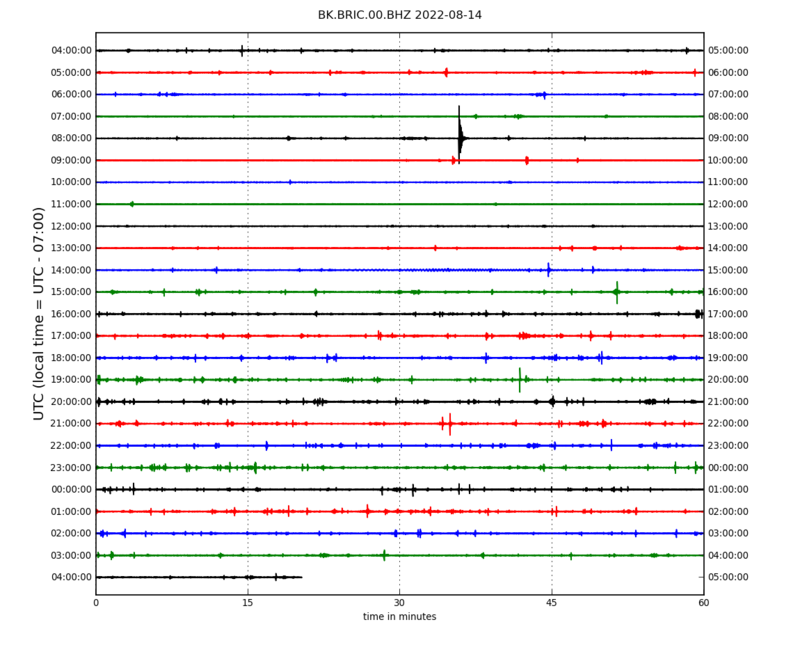 If you want to see whether the wiggles on the seismogram correlate with recent earthquakes, you can check the maps of recent earthquakes hosted by the UC Berkeley Seismology Lab and the USGS. 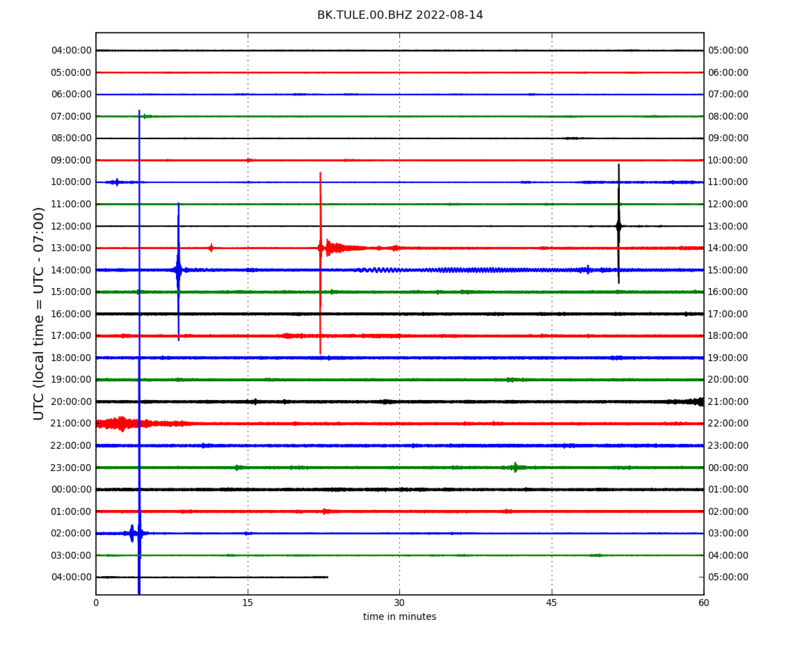 The long period nature of these records will emphasize large, distant earthquakes rather than small, local events. 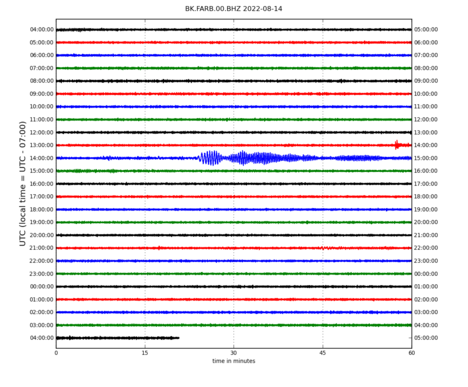 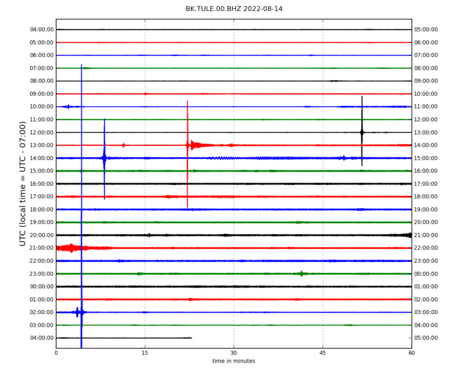 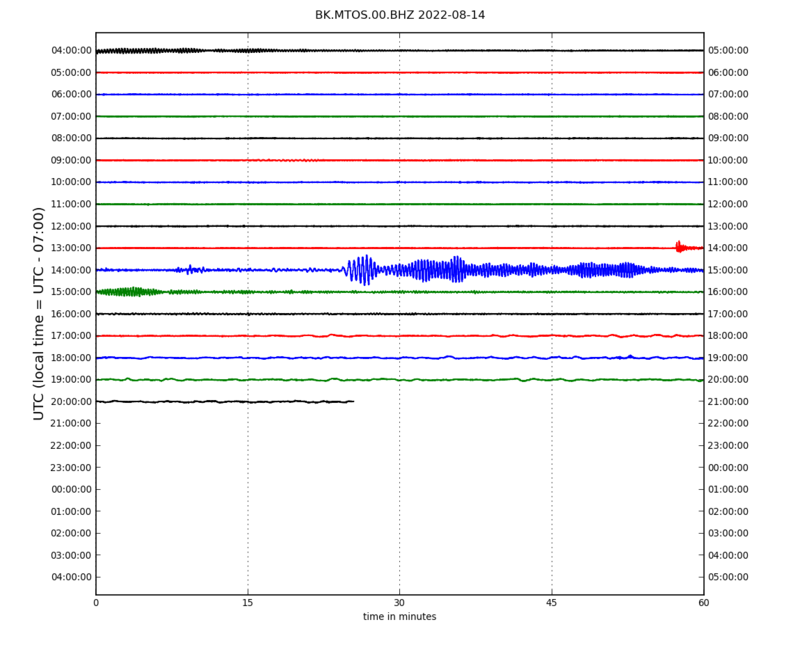 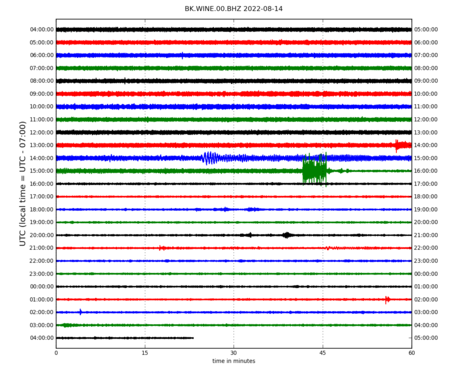 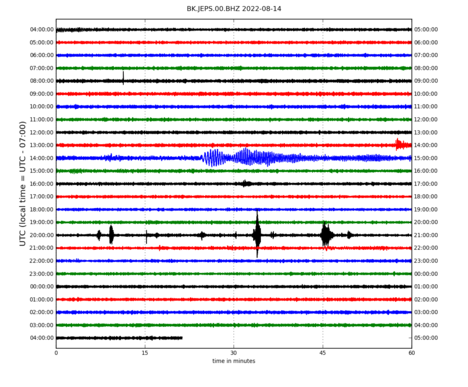 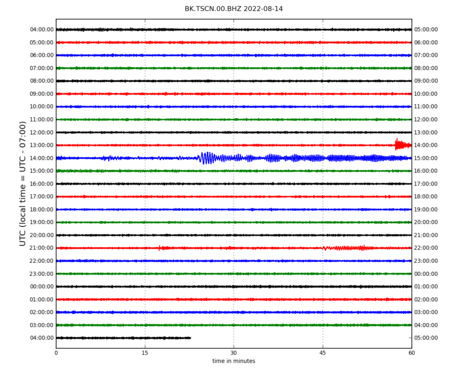 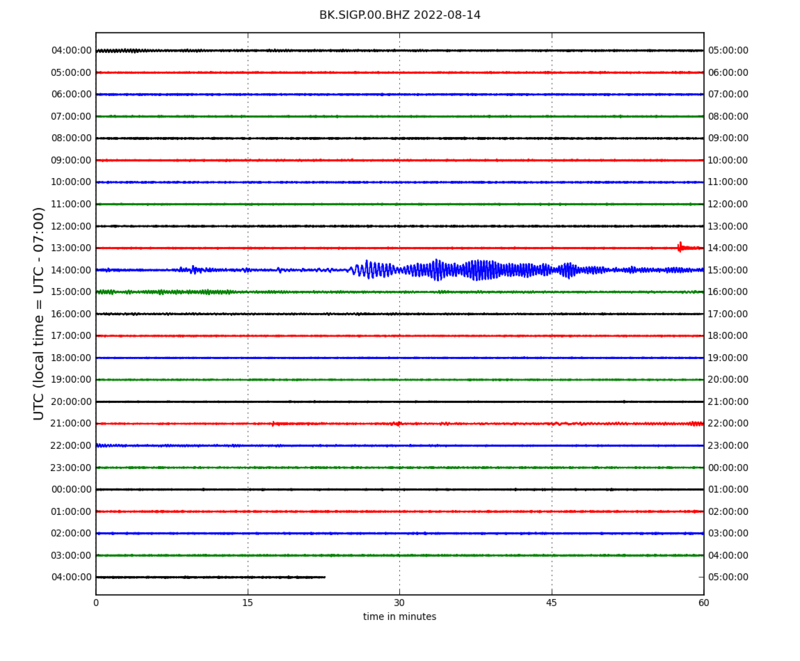 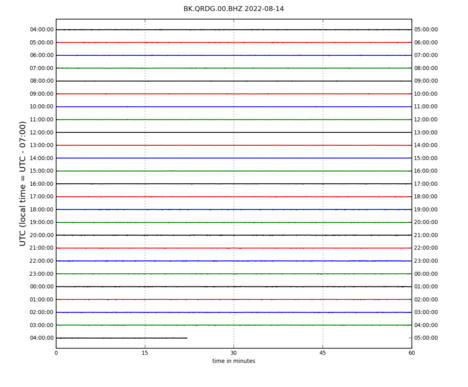 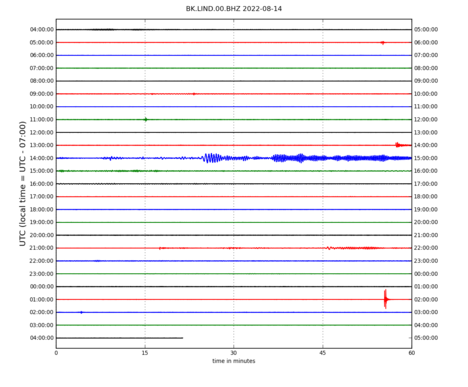 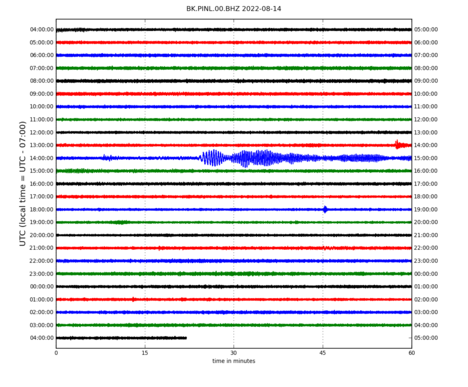 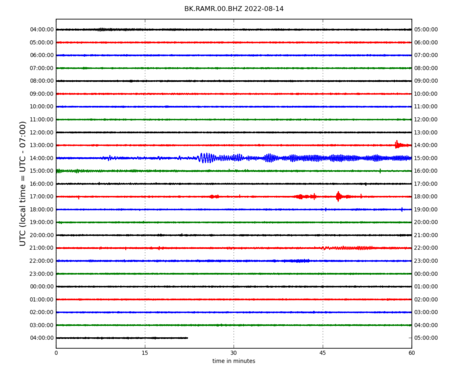 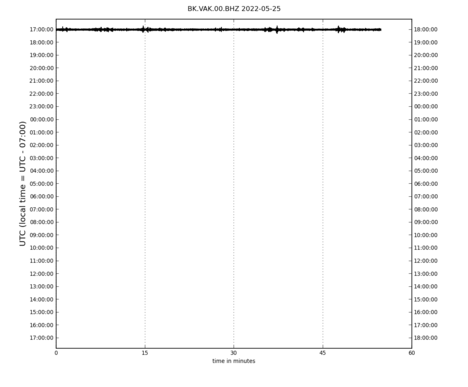 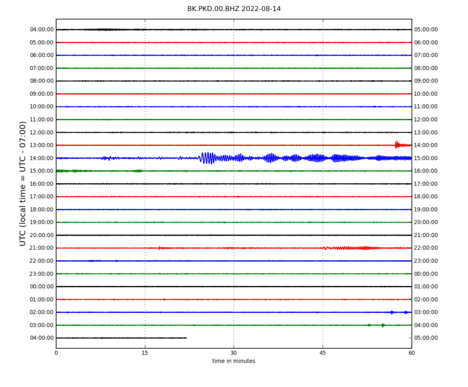 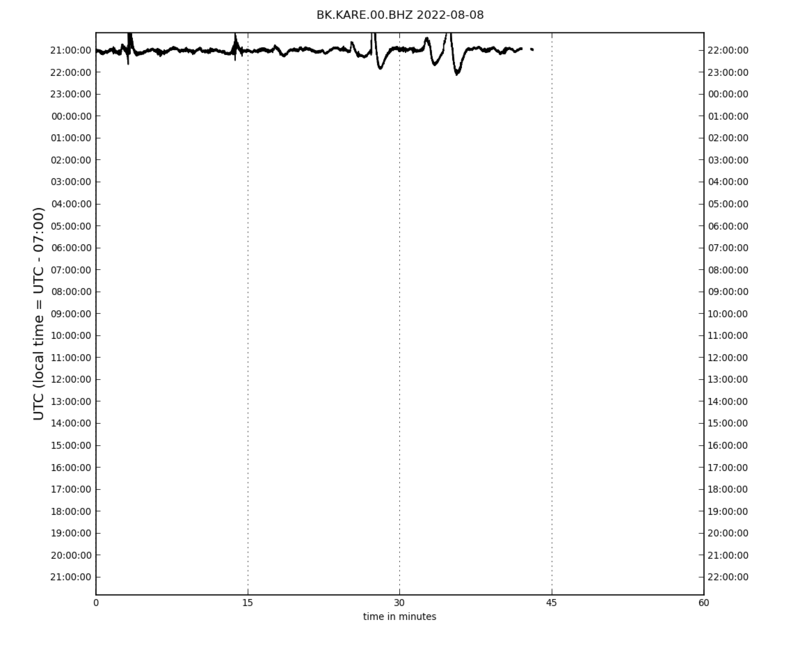 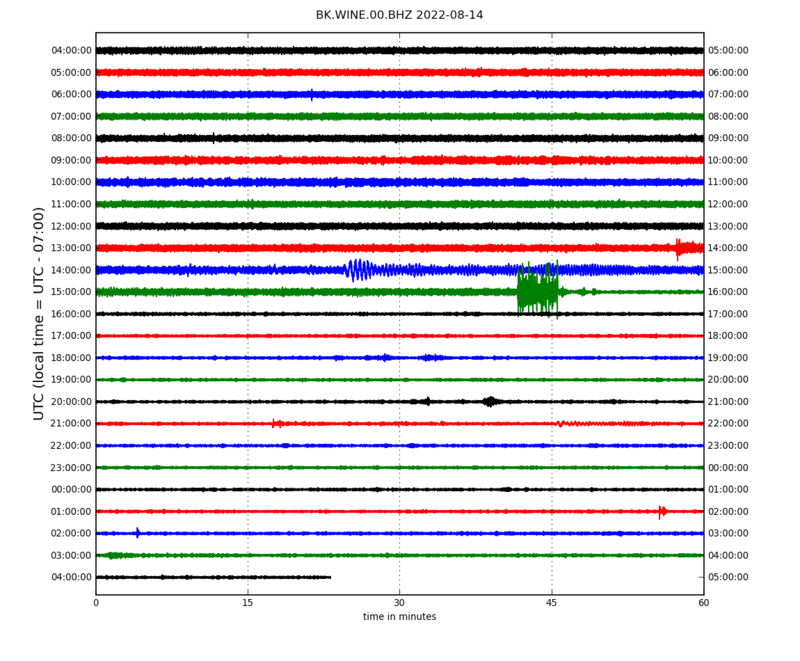 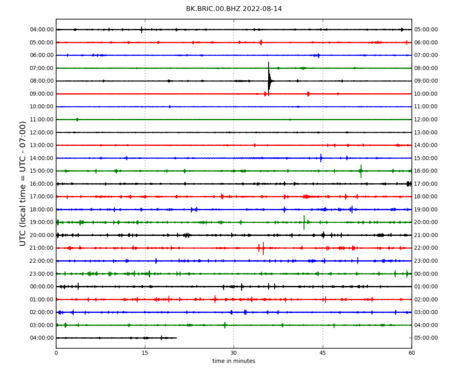 We hope to provide additional seismograms in the future which will show local events more clearly. NOTE: If the station you select does not contain the last day of data, click "Reload" on your browser to get the current image.